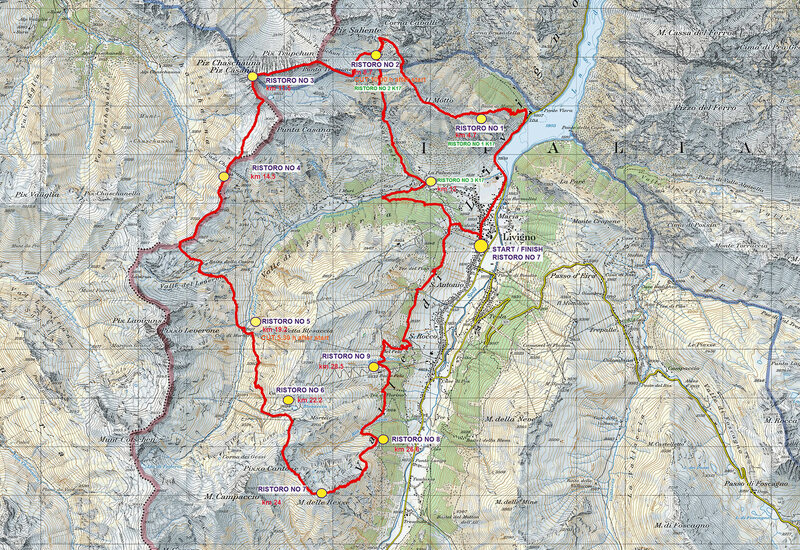 The distance will be approximately 34 km with 2,700 metres of climbing. The race takes place in wild surroundings on the border of Italy and Switzerland. The route contains sections on exposed mountain ridges, which will have ropes or chains for assistance as well as experienced mountain guides from the Guide Alpine and Soccorso Alpino societies. A substantial part of the route takes place at altitudes between 2,500 and 3,000 metres above sea level. In the event of bad weather, the organisers reserve the right to amend the route in favour of a pre-determined emergency route. If this is the case, all athletes will be informed during the pre-race briefing.